Soprano Jessica Faselt singing at Bethel University in the 2017 round of the Metropolitan Opera National Council – Upper Midwest Region Auditions. 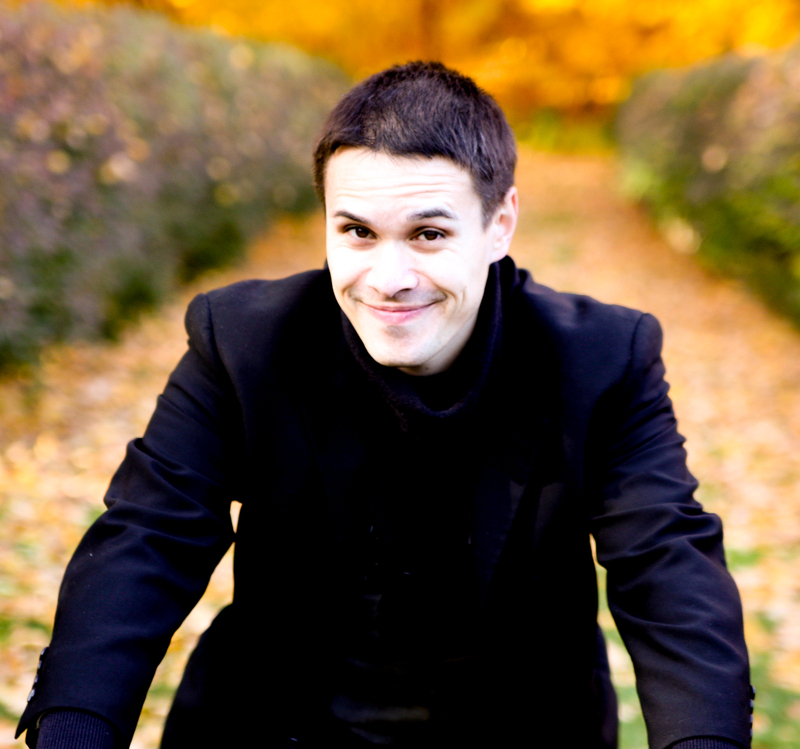 Faselt won the Regional audition and competed in New York City in the Semi-Final Round of the auditions. Photo courtesy of the Metropolitan Opera National Council – Upper Midwest Region. If you like opera and love to say, “I knew them before they were famous”, this is one of the most exciting weekends in the Upper Midwest. On Saturday, 40 young opera singers will gather at Bethel University in St. Paul for the Metropolitan Opera National Council’s Minnesota District Auditions. On Sunday, the Minnesota District winners will compete again with the Iowa, Nebraska, North Dakota-Manitoba, and Wisconsin District winners in the Upper Midwest Regional Auditions. What’s at stake? The winner of the Regional auditions will continue on to New York City for the Semi-Finals (and, hopefully, Finals) for one of the most-watched competitions in opera. It’s such an event that casting agents, directors, and artist managers flock to New York City to see the Grand Finals Concert, imagining how these singers might fit into their next seasons and rosters. A hallmark of the Metropolitan Opera National Council auditions is that most rounds are open to the public. With such a competitive playing field, the level of performance is always high; many district and regional auditions have loyal audiences who make an annual pilgrimage to try their own hand at the scoring game and guess who will make it to New York. This is often a multi-year journey, but watching how a promising young singer returns the next with remarkable new refinement is part of the pleasure. 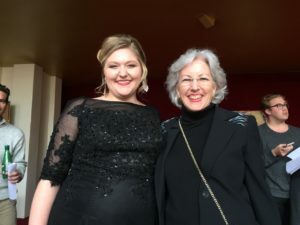 Soprano Jessica Faselt (left) and Connie Fullmer (right) at the Metropolitan Opera in New York City in 2017. The Semi-Final round includes coaching with staff members at the Met. Past National Council winners include many of the world’s greatest opera singers, including Kathleen Battle, Jessye Norman, Teresa Stratas, Shirley Verrett, and Frederica von Stade. Current Met singers who were winners in the National Council Auditions include sopranos Renée Fleming, Angela Meade, Susanna Phillips, and Patricia Racette; mezzo-sopranos Stephanie Blythe, Susan Graham, and Dolora Zajick; and baritones Thomas Hampson and Eric Owens. Each season at the Met features almost one hundred National Council Audition alumni singing in various roles. Packing a lunch and/or snacks is strongly recommended.